I was at Lakeside, a local amusement park here in the Denver area, and came across this glorious sign. I don't even know why, but it tickled my funny bone. Fun is exciting enough, but if you add an exclamation point, I'm all in! Then to have an Egg that is also worthy of exclaiming, well, it's almost too much for me. I was almost disappointed when I realized this was only a machine that dispersed crappy toys for a quarter each in a plastic egg. I was hoping for some entertainment super egg that would permanently cure the world of boredom. I guess I'll have to wait until next time for that. However, I'll always be able to relish in the Fun! Egg! sign, and it's a terrific new thing to say to your friends in an excited voice. "Hey Friend...have you heard? Fun! Egg!" It was a heavy soccer show today, so I'm sorry for that! The United States had just been knocked out of the World Cup about half an hour before the show went live, and Craig was a little bummed. Face and the Whale called in, and we discussed World Cup type topics and also did a Duel between the English radio version of Landon Donovan's World Cup goal versus the Spanish version. Even though I didn't understand much of the Spanish version...Andres Cantor had me at "Gol!!!!!!Gooooooooooool!!!!Goooooooooooooooooooooooooooooollll!!!" After the soccer talk was done, Face and I broke down his epic call to a very nice woman named Wanda. If you want to hear what someone praying for someone else's fantasy baseball team sounds like...you'll get your chance in the second half of the show. Finally, we started discussing the sort of people with whom God would want to play fantasy football. Face thinks he'd have a shot against God, but I maintain God would destroy him in fantasy football. 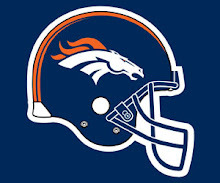 He made the entire creation in 6 days, he can take you in Fantasy Football! I closed out by recommending a song from Modest Mouse called "Parting of the Sensory. It was a Leftover Monday show, as we still had 4 sets of trivia questions for 80% trivia from Saturday's show. 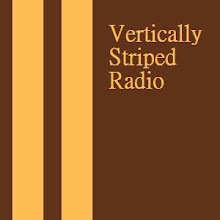 Leftovers may not be a favorite of The Ed, but they can make for a great Monday Night show on Vertically Striped Radio. Lamont "Doug" Brown from the Major Minority Report called in and helped Face and Craig discuss a story of a 600 pound woman who hopes to someday hit her target weight of 1000 pounds. Ugh. Lamont then went on to dominate in trivia...with a major assist from Major Minority who was listening in from the other room and feeding him answers. We also had a lovebird team of Holly and Josh call in to win, and Nalax, the hardluck Pirates fan called in and performed about as well as the Pirates usually do. The High Plains Grifter also called in and did just well enough to not win, but it was fun to have everyone call in, even if only half of them were winners in the game...they're all winners in my book. (Not that they'll get a prize, though.) We finished up with a bit of NBA Draft talk from Joe, and then I played the Vertically Striped music recommendation called "Do Better" by the group Say Anything. Considering this show was put together in mere minutes, it turned out pretty darn well. Thanks to all who called, and congrats to the winners! The first team eliminated from the World Cup has some of the best uniforms (or if you want to sound soccer snobbish you call them "kits") in the tournament. I like these guys if for no other reason than their socks. Seriously, how great are those yellow socks? 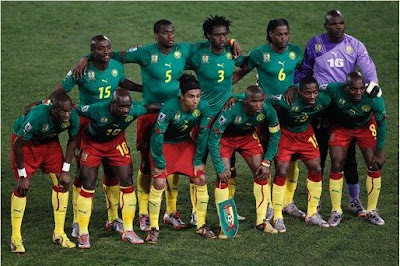 You have got to like a soccer team with the cohones to wear green shirts, red shorts, and yellow socks. So despite the fact that they are out of the Cup. I salute you, Cameroon. Your sartorial splendor is a wonder to behold. Oops, maybe not so easy as originally thought. 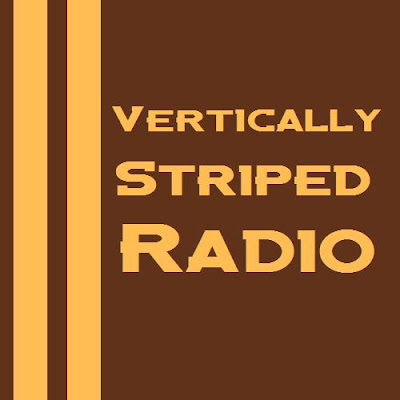 Vertically Striped Radio - Win a prize with 80% Trivia! 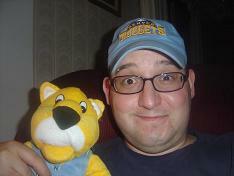 Tune in to Vertically Striped Radio (www.blogtalkradio.com/VerticallyStripedRadio) this Saturday at 3:30 Mountain Time (5:30 Eastern) and you could win! That's right! We're going to be playing 80% Trivia, If you call in during the show at 646-716-6831 and can answer 4 questions right from 5 trivia categories, you'll win! "But, Craig," you say, "What kind of prize can I win?" If you're a lucky winner on 80% trivia, you win a random sports team pennant, autographed by the world renowned Craig Dodge. (Not sure if that enhances the value or not, but it's what you'll win.) Look below and you'll see the prize of our only winner from the first edition of 80% trivia...Face Ventura! Yeah, if you're hoping to win something as glorious as a 2007 New York Giants Conference Championship pennant, call in to win this Saturday, June 19th. Not only can you win a prize, but the nominees for the 2nd annual Sockie awards will be announced. Be sure to tune in! You know what's great about having kids? They don't miss the cool stuff. Adults are so busy and moving so fast that we forget about the cool stuff. My kids were walking out to the car tonight with me and my wife, and I was trying to hurry, even though I wasn't really in any particular hurry. I noticed that the sun was setting in the sky, but I barely took notice of it. This is where the coolness of kids comes in. My son not only noticed the beautiful sunset (which he mistakenly called a rainbow, but I'll cut him some slack since he's 2) he also noticed that a little sliver of the moon was already up in the sky. Yup. I'm in a hurry, but the kid notices the glory of the world, plus the beauty in something as simple as the moon. I wish I could get excited about anything as much as my son gets excited about the moon. Kids are great. 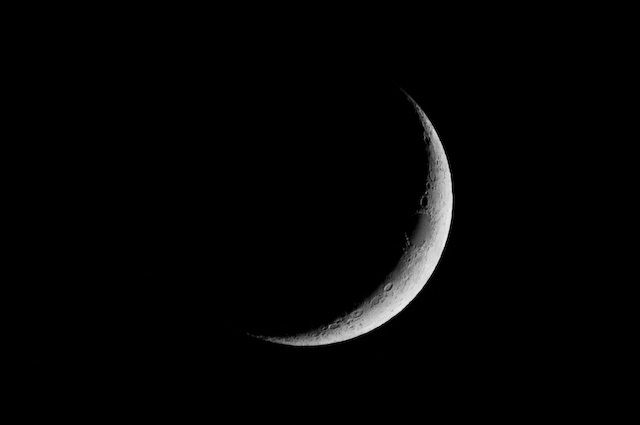 I must have stopped and looked at the moon for five minutes with him tonight. It really was a thing of beauty, and I'm missing it because I'm not bothering to look. A wise man named Ferris Bueller once said, "Life moves pretty fast. If you don't stop and look around once in a while, you could miss it." And he's right, so do something intentionally slow today just to look around and actually see what you'd otherwise be missing. It's worth it. It's profound wisdom so simple my 2 year old gets it, yet I far too often forget. 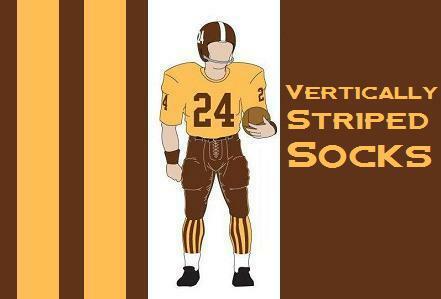 Episode 58 marked the first real show in awhile, and it featured the greatest Vertically Striped News story in the history of VSR. Let's just say the words "Cement Jesus" AND "Weiner Poopie" were involved. Joined by Face Ventura and The Whale, Craig was in a great mood as he had just returned from a soccer party where he had watched the United States earn a tie with England in the World Cup. We checked in with the Dan Lebatard show, as we discussed doing the wave at stadiums. Craig handed out some tickets to some deserving wankers, and saved the Red Card for those responsible for dissolving the Big 12. Face, Craig, and the Whale spent a little time discussing female sports fans, and an important axiom was announced. "All women sports fans will be treated as spies until proven otherwise." We bid a fond farewell to the NHL for another year, as we discussed the NHL Finals...or is it the NHL Final? Finally, Craig proposed the theory that New Hampshire doesn't actually exist. We're pretty sure it's just a conspiracy. The Music recommendation this week was the song "Anna Molly" by Incubus. What happens when Craig doesn't prepare for the show? A train wreck like this. Two days removed from Boston, Craig reminisces about his trip to Massachusetts and defends the city of Boston. The show isn't a total waste, as The Whale, Face Ventura, Elevation, and the Ed all make positive contributions. 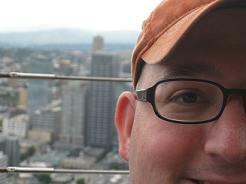 Plus, Jerry Fairish gives us an "Unmagnificent Seven" list about the city of Boston. As far as train wrecks go, this one isn't the worst you could experience. You even get to hear the genesis of The Ed's "What's the hardest thing about roller blading" joke. It could have been worse...but not much.